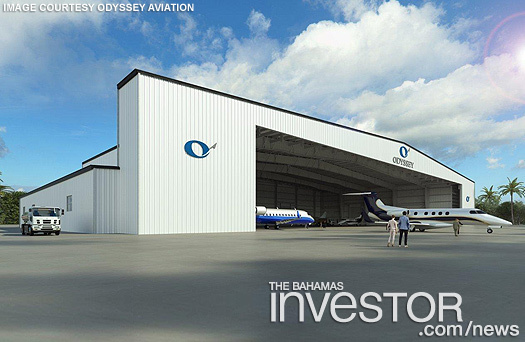 Odyssey Aviation recently signed a contract with Island Industries (Bahamas) Ltd for the construction of a new hangar and ramp expansion. The hangar features 200 ft clearspan allowing wide open interior hangar space to accommodate their clients aircraft. A 180 ft by 28 ft rolling door can be powered closed quickly in inclement weather and is enclosed in pockets when open. In addition, there will be 3,000 sq ft of office available to Odysseys’ hangar tenants. The roof will be Butler building system MR24 standing seam roof, the number one choice of roof specifiers. Groundwork is underway by civil works contractor BHM and the site will be ready for the building superstructure in September 2017 with an expected completion by November 2017. Odyssey Aviation’s new hanger and ramp expansion is part of their ongoing commitment to provide the best in aviation services throughout The Bahamas. Now with the completed 20,000 sq ft hangar it will allow the Rubis-branded service provider to shelter more ultra-long-range business jets. This will be Odyssey’s second hangar, and when completed will increase the total hangar space to approximately 50,000 sq ft. Both hangars will handle up to and including the new Gulfstream G650. In addition an extra 60,000 sq ft expansion of its lighted ramp, bringing the total footprint to more than 600,000 sq ft. The added space will create room to park 20 to 25 more aircraft which will significantly aid in the flow of traffic during peak season. Bahamas Prime Minister Dr Hubert Minnis addressed CARICOM's Heads of Government meeting in Grenada earlier this week, calling for a sustainable marketing strategy for regional tourism. 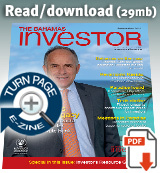 Listen to a Bahamas Information Services report on his speech here.